There are home testing kits for all kinds of medical conditions. Some are better than others and some are no good at all. And that, says the FDA, describes home testing kits for ovarian cancer. No do-it-yourself kit is currently sensitive enough to reliably screen for ovarian cancer, the agency warns. The FDA said it is particularly concerned that women who show no symptoms and get a negative test result may delay treatment for a condition that would have been found early if more accurate diagnostic tools had been used. Also, some women may receive test results that suggest they have ovarian cancer even though no cancer is present (a false positive). These women may undergo additional medical tests and even unnecessary surgery, and may experience complications related to both. Using unproven screening tests also may be harmful for women who have an increased risk for developing ovarian cancer. For instance, the FDA warns, these women and their doctors may not take appropriate actions to reduce their future risk if they rely on a result that shows no cancer currently present. Yet, this group of women is still at high risk of developing this cancer later based on their gene mutation or family history. The American Cancer Society says that symptoms of ovarian cancer include abdominal swelling or bloating due to a mass or a buildup of fluid, pelvic pressure or abdominal pain, difficulty eating or feeling full quickly, and urinary symptoms (having to go urgently or often). Frequently, however, there are no symptoms to begin with. Regular pelvic exams may help diagnose this cancer. Unfortunately, though there’s been a lot of research to develop a screening test, there hasn’t been much success so far. 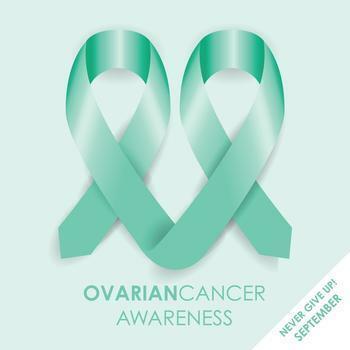 Ovarian cancer occurs when abnormal cells in or near the ovaries grow and form a malignant tumor. In the United States, it’s the fifth leading cause of cancer-related death among women. The National Cancer Institute estimates that in 2016 more than 22,000 women will be diagnosed with ovarian cancer. Women who have reached menopause, women who have a family history of ovarian cancer, and women with the BRCA1 or BRCA2 genetic mutations have the highest risk for developing it.